From Tuesday to Thursday, Concordia’s more than 35,000 undergraduate students will be asked to vote in the Concordia Student Union’s annual election. This year, three full slates and one independent candidate are running for the CSU’s eight executive positions. Quorum for the election is 450 votes. What past experience do you have in student politics or student groups? 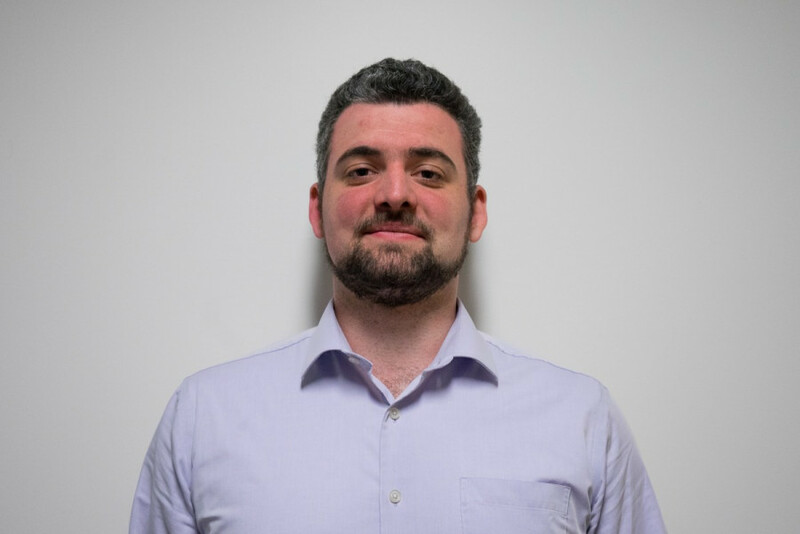 Bochis has been the president of Concordia’s Model United Nations for the last two years, and was the Vice President of corporate affairs on the John Molson International Business Association during 2016 and 2017. What do you want to see changed in the CSU? “I kind of like to have my hands in everything and be super involved,” Hough-Martin said. Hough-Martin was an executive on Students of History at Concordia for three years, during their transition to a non-hierarchical structure. She’s also the president of the Delta Phi Epsilon sorority. In the last years, she’s also worked as an arts and science councillor with the CSU, and sits on their policy committee, finance committee, and electoral reform ad hoc committee. Hough-Martin said she would like to see more financial transparency and accountability for CSU executives. “Not that certain executives haven’t been accountable to students but I definitely think there’s a large way to go until people feel they can trust the CSU again and I’d really like to bring back that trust, make people feel like they can count on the CSU as an institution,” she said. In his first term, Riaz said there were goals his team wasn’t able to accomplish. Riaz claims that next year, he will hit the ground running and improve Concordia. Riaz is the current general coordinator of the CSU, but he was previously the president of the Vanier College Student Association. He’s also served as chairperson for the Commerce and Administration Student Association’s board of directors for two years. After facing previous criticisms over transparency, Riaz said that Advance CSU wants to publish monthly reports online for students to see where students money is being spent and why it’s being spent. Riaz also said he has a plan to centralize Concordia’s clubs and student groups in one student building. He also wants to see more startup incubators, workshops for students, and to improve the reimbursement process in the Fine Arts department. “I want to fill in the gaps that student resources don’t offer right now,” she said. “I’ve worked with my student association in the School of Community and Public Affairs. I’ve been involved in different political campaigns, the anti-austerity movement, and the CATS campaign,” she said. 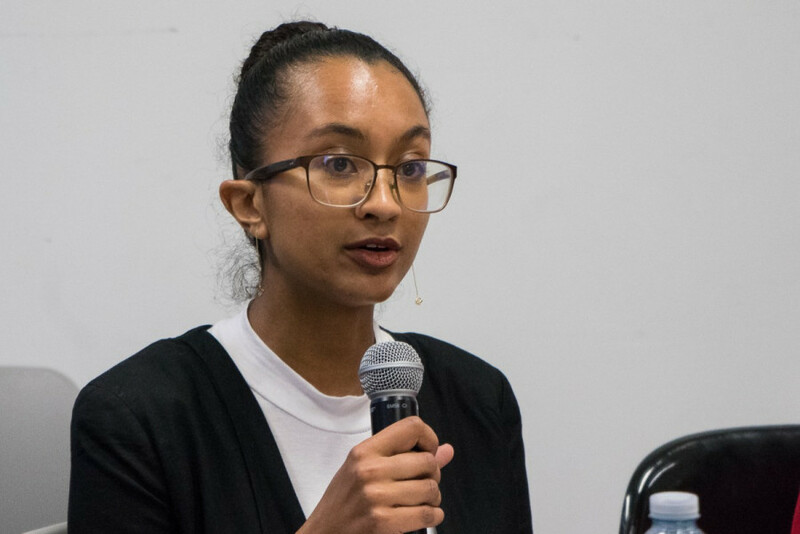 She also says she co-founded a group which raises awareness in Montreal about political and ethnic conflict in Ethiopia, and works as a receptionist for the CSU. “We want to improve the funding for the access centre for students with disabilities,” she said. 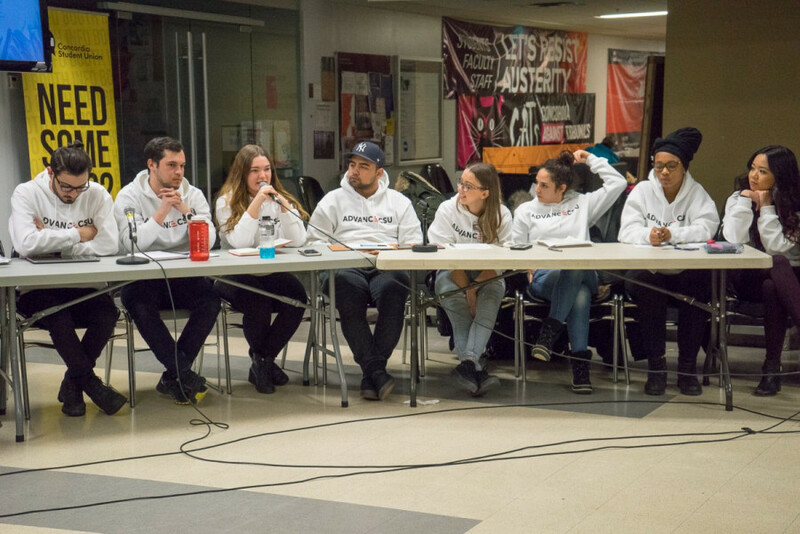 Jolicoeur said that he doesn’t have any experience in student politics, but believes that he’s surrounded himself with the right kind of people to develop himself and the union. “I’d say be more accessible,” Jolicoeur said, adding that the CSU should look into using social media to reach students that they aren’t reaching right now. Karam said she is running because she thinks it’s time for students to feel united, and as if they are under one roof. “I’ve been involved with clubs enough to see how many students get involved, how many don’t and how many don’t even know about the services,” said Karam. Currently, Karam is president of the Concordia Dodgeball League. Karam was also vice-president external of Artopia Concordia, which is CSU club that allows students to share ideas through art. Karam wants to see a change in mindset at the CSU, by having less disparity between students of different programs, and encouraging more acceptance between students. “I want people to start accepting one another for who they are without reminding them of it, and this is like a seed that has to be implanted from within and try to push through it,” said Karam. “I’m passionate about a lot of student issues, and I want to see them addressed,” he said. Hutton said he wants to negotiate for better services through the student health plan, to expand coverage for mental health care. “A lot of students here find the services here insufficient, you only get ten meetings with a psychologist in your entire degree,” he said. “I feel like the current finance department is not efficient enough, in all senses,” Bobic said. Bobic said that he started an entrepreneurial club at Champlain College, but has not been involved in any groups at Concordia due to his career as a real estate agent. 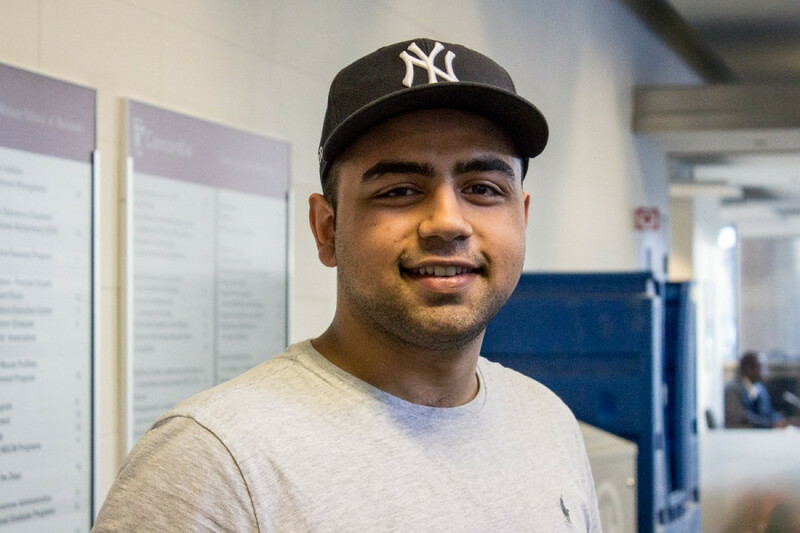 After becoming a JMSB councillor, Du wanted to become more involved in student politics. Du said there are a lot of great initiatives, which she wants to be able to reach out more to students and encourage ideas that would better the community. She said a lot of amazing projects are not proposed and given aid to by the CSU, because a lot of people don’t know that the CSU can provide aid. Aside from her position as a representative for JMSB, Du has volunteered a lot. She has volunteered at the John Molson Accounting Society, such as being involved in the Tax Clinic, which is a free service to see if students may receive a benefit. Du wants to create more transparency by releasing information that most students can understand. She wants to generate more financial literacy at the CSU by ensuring simplicity in the way documents are represented. Additionally, Du wants to develop a better relationship with board members at the CSU by fostering a better environment. Thompson said she wants to have a big impact on the community around her, and appreciates that the CSU acts as an incubator for political involvement that comes after graduation. Thompson has been an Arts and Science councillor for the past year, and said she’s been on the board of Concordia’s Quebec Public Interest Research Group for the past two years. “I want to decentralize this platform, I feel like there’s too much power that’s given to the CSU,” Thompson said, while stressing there should be more power given to smaller student groups. She also said she wants students to be better protected from sexual misconduct, racist professors, and an administration that tends to fail them. Guppy explained that his experience working with the Vanier College Student Association and engaging political parties from different backgrounds prepared him to run for the external affairs and mobilization coordinator. Guppy was a youth ambassador for UNICEF and is currently the Vice President of Special Projects for ConMUN. He was also the Political Affairs Coordinator of the Vanier College Student Association. “It’s very important to me especially when you’re looking at minority representation that it’s the minority speaking on behalf of themselves and not speaking through a surrogate because much can be lost through translation,” he said, explaining that he would like to decentralize power from the CSU executives. “Last year I ran for the same position, however the experience rendered to be unsuccessful, so I decided to go forth and gain more experience in the CSU and the Concordia community,” said Bokesmati. Since not winning the last election, Bokesmati has been involved in various political student groups at Concordia. He will be completing his mandate as General Coordinator for Solidarity for Palestinian Human Rights. This past year, he has also been a Political Science Student Association representative for Arts and Science Federation of Associations, he was appointed as a Arts and Sciences councillor and he was also the Campaigns Coordinator for Amnesty International for Concordia’s Chapter. Bokesmati said he wants to generate a collective document to represent a charter of student’s rights. This document would provide guidelines of needs for Concordia students and how CSU can handle issues that students may face, such as discrimination or sexual violence. Bokesmati said he would like input from students too, to see if they feel Concordia’s policies are practical, or if they are problematic. This document would also entail the CSU’s promises to the students in how they will provide aid. “I’ve been involved in community organizing around Montreal and Concordia around anti-racism, queer and trans issues, so I wanted to bring my experience into the CSU,” she said. “My main experience is in community organizing, I’ve worked for QPIRG, I’ve been in a lot of different groups, food security collectives, popular education collectives and resource creation collectives,” she said. In past months, Searcy has also worked as an arts and science councillor with the CSU. Searcy also said she wants to work on the school’s mental health services, sexual assault policies, and to increase the CSU’s anti-oppression stance by making it more concrete. Lewis-Mella believes the role of Loyola Coordinator should be filled by a candidate who studies at that campus. “There’s so many clubs and groups at Loyola who want to get involved but they don’t know how how cause they don’t have help from like a large organization like the CSU,” she said. Lewis-Mella said she has seen a lot of issues she wasn’t happy with. “If I want to see change I either have to vote in someone that I think will make change or I run myself,” she said. What is your past experience in student politics/groups? Lewis-Mella was clubs coordinator, events coordinator, and finally president during her time at Vanier College. “It was a lot of work but it was really satisfying and I think it was good because it taught me how to advocate and how to be a spokesperson for people, especially [to] other students” she said. Following these positions, Lewis-Mella sat on the Vanier Board of Directors for two years. “I was with teachers and staff and administration and I was the advocate for students,” she said. Her slate has adopted a platform of transparency and more accessibility, which she hopes to enforce within her mandate. “Especially running for Loyola, it’s accessibility and it’s really the fact that I want students to feel like they can reach out to the CSU no matter what, that we’re there for them,” said Lewis-Mella. Tardif Levesque grew up on the Loyola campus and wanted to improve the campus’ potential. “I wanted to really get absolutely invested in my new campus” she said. “I started off as student ambassador for Political Science Student Association, and I moved onto the Oversight Committee,” she explained. She then became the Vice-President of Communications for PSSA. Tardif Levesque is also on CSU council. She said during her time on the Loyola campus, she interacted with students and found a common problem that was the lack of food services available. After speaking with Concordia alumni, Da Conceicao said there aren’t enough events organized at the Loyola campus. Da Conceicao was previously the public relations officer of the Caribbean Student Union at Concordia. “That’s definitely been a huge part of my experience here at Concordia and it just pushed me to run for CSU,” she said. Da Conceicao said that she has a few ideas for the Loyola campus such as ‘do it yourself’ exercise at home, inviting Stingers coaches and players to show students how to live a healthier lifestyle without having to purchase a gym membership. She also wants to plan a networking alumni event. Bourgeois said that she doesn’t have any experience in student politics, but has volunteered at places such as the local greenpeace group, People’s Potato, and Moisson Montreal. She added that groups like Divest Concordia are working hard online, but the student body is unaware what divestment is, and that Concordia is invested in tar sands. “I do care a lot about the environment and I want to be at a university that has the same mindset as I do in terms of how I treat the environment and how I live a sustainable life in all domains,” De Carlos said. When she studied at the University of Toronto, she volunteered with Greener U of T, where she worked on educating students on sustainable practices and recipes, and on campus outreach. Currently, she is the Health and Resources Coordinator for Queer Concordia where she recently organized a wellness retreat. She continues to volunteer with Waste Not Want Not and Divest Concordia. “I would really like an emphasis on divestment to come back. In 2016 at the by-elections, students voted for divestment, yet from what I’ve seen in the current CSU mandate they haven’t been really concentrating on divestment,” she said. She would also like to work more with sustainable groups in the Concordia community, such as Waste Not Want Not, to coordinate outreach and education initiatives. She wants to see more compost bins around the school, and to have them placed closer to garbages so that students won’t have to go further to make sustainable choices. Martinez De La Garza said he’s running because he wants to encourage more sustainable practices within different groups at Concordia. Martinez De La Garza said he has a lot of experience managing groups. Last year he volunteered frequently at events hosted by JMSB and was involved in the JMSB debate team. Martinez De La Garza said he feels what is missing is collaboration between the sustainability community at Concordia and other groups at Concordia. 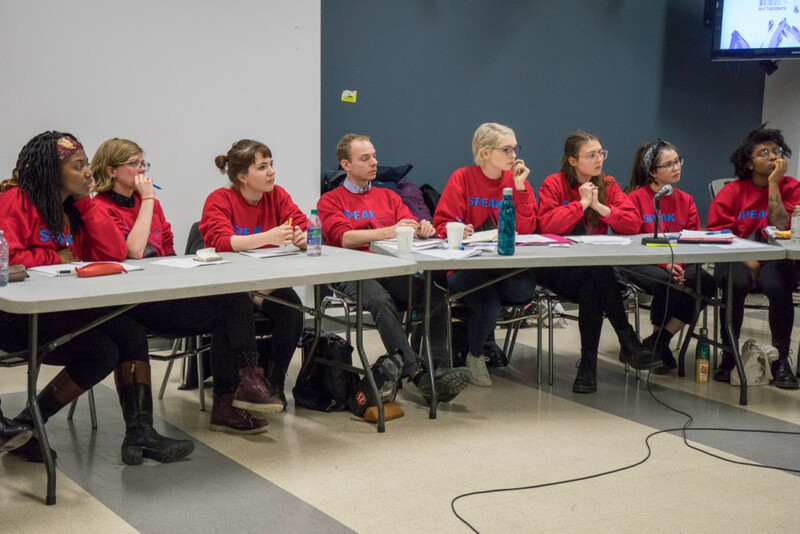 “[There needs to be] more collaboration with the clubs, committees and associations, so that their weekly and biweekly events can be more sustainable with the help of current and existing projects within Concordia,” he said. He would also like to promote a zero waste week at Concordia that would run alongside orientation. 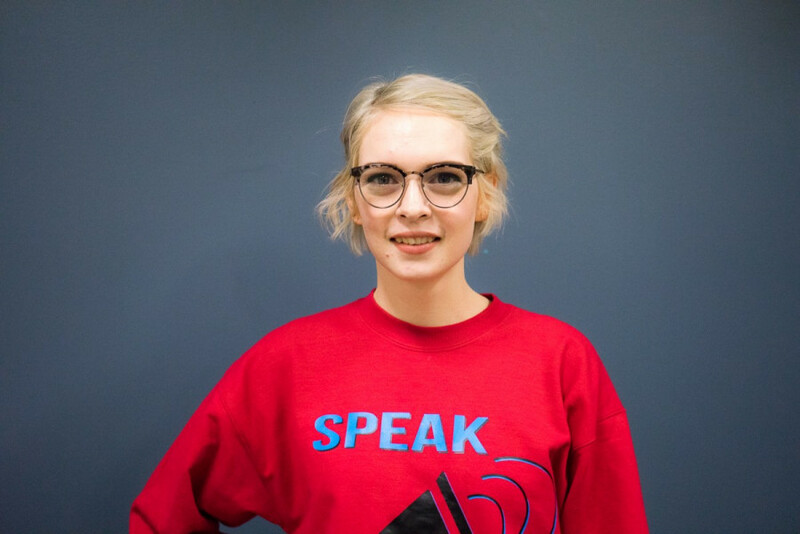 Clark-Gardner said that she would like to make student voices more prevalent at the university and would like to see the classroom become a more democratic space. Currently, Clark-Gardner is the CSU’s fine arts councillor and has been on over seven committees. She also helped coordinate a student congress on campus sexual violence and has sat on Senate for two years. Clark-Gardner wants for there to be an annual survey for students so that the CSU can receive feedback from the student body. She also wants to advocate for a more inclusive, anti-racist curriculum. Another plan is to advocate for a new student evaluation policy, modeled around the one at Université du Québec à Montréal. Lida Aman decided to run for the position as academic coordinator because she found how much damaging stress can be on students. “I hope that through my mandate as the academic coordinator I can implement projects and proposals that can help people decrease or better manage their stress levels,” Aman said. Aman she said had experience in a similar position at the Vanier College Student Association, where she developed an awareness panel about bullying. “I want the school to take better measures to improve students’ mental health. Students have to wait a long time before getting an appointment with a psychologist or a councillor and sometimes the wait can be detrimental,” she said. Zebiri said she wants to improve the academic experience for all students, but has lately been focused on engineering students’ academic experience. “For the past years engineering students have been put on the rack and ignored, this year I’m focusing on improving their academic experience,” she said. been involved in organizing events like the recent CSU consultation on racism in the classroom. Zebiri said she wants to focus on making the CSU more inclusive, so a diverse array of ideas can be explored. She also wants to talk to professors to diversify the school’s curriculum. “I’m an International transfer student from the US and so I’ve only been here for about a year and I definitely feel like CSU is missing a key voice at this institution. I’m also Nigerian and I’m Black and I think that it’s, to a certain degree, it’s missing the voices of visible minorities that are from West Africa or from the Caribbean,” Somefun said. She added that she would like to make education more accessible for international students and wants to work to make sure the school’s curriculum isn’t so dominated by white male scholars. Before moving to Montreal, she spent a semester working for Planned Parenthood. She’s currently the Vice President of Communications for the African Students’ Association of Concordia. Somefun said she would like to be able to teach clubs how to include sexual violence policies and training in their mandates, and to show them the CSU is there to listen to their concerns on those topics. She added that she would also like to see more diversity in the CSU. “I’ve been an executive of a lot of clubs, so I’ve seen the issues that clubs have,” she said. She’s also sat on various CSU committees. To said she’s been part of many clubs, but has been mostly involved with Jack.Org and Me to We. She’s currently the Vice President of Marketing for ConMUN. To would like to see more “club connectivity” and more clubs collaborating on events. “Given my experience as Vice-President of the African Student Association [of Concordia] this year, I want to improve the dynamics between students association in the CSU,” Balde said. Balde was also an ambassador for the ASAC. “I want to remain accessible in order to help clubs accomplish their mission, I also want to set a minimum budget for all clubs accepted by the CSU to let new clubs under the CSU start at the same rate,” said Balde. She also wants to prevent clubs from facing unnecessary bureaucracy and wants to expand Reggies for more student events.